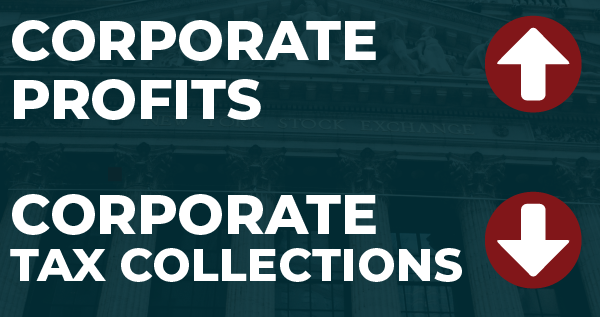 This month in tax policy news: Corporate profits soar while corporate tax collections plummet. Also inside: A look at regressive state tax policies and progressive remedies and the continued unpackaging of the Tax Cuts and Jobs Act. It’s ITEP’s March 2019 Monthly Digest. Early evidence indicates what many economists predicted. The Tax Cuts and Jobs Act is causing a deep dive in federal revenue—not self-financing as supply-side adherents claimed it would. 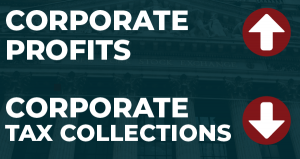 New data from the Treasury Department reveals corporate income tax collections fell 31 percent in 2018 and continue to fall this year. The only other time in recent history that they have fallen more is during the peak of the Great Recession when corporate profits actually declined. The current fall can only be attributed to lawmakers’ deliberate choice to slash the corporate tax rate by 40 percent and also leave tax avoidance loopholes intact. With heightened public discourse on addressing income inequality via the federal tax code, it’s critical to remember state tax systems also affect the growing economic divide. Fairness Matters: A Chart Book on Who Pays State and Local Taxes includes 13 new charts and graphs highlighting how state tax systems are quite literally creating a greater chasm between the top 1 percent and the poorest 20 percent post taxes. 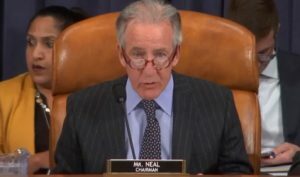 More than a year after passage of the Tax Cuts and Jobs Act, the House Ways and Means Committee held a hearing to review the law and its effect on low- and moderate-income people. The White House in mid-March released a budget proposal that calls for draconian cuts to programs and services to address annual deficits. Of course, the blueprint fails to acknowledge that the 2017 tax law will add at least $2 trillion to the nation’s debt over a decade. It’s well known that a vast majority of states require their lowest-income residents to pay higher tax rates than the very rich. 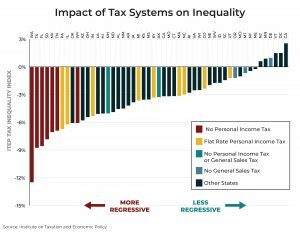 This blog explains how regressive state tax systems also contribute to the racial income and wealth gap. Under the 2017 tax law, American corporations’ offshore profits are taxed only to the extent they exceed 10 percent of tangible assets invested offshore. Legislation introduced by Rep. Lloyd Doggett and Sen. Sheldon Whitehouse would eliminate this break. Illinois Gov. J.B. Pritzker’s Fair Tax Proposal would restore some fairness to the state’s tax system by taxing residents at progressively higher rates based on their income. Polling shows two-thirds of the state’s voters approve. The state currently has one of the most unfair tax systems in the country in part because of the current structure of its income tax. Sign up to receive ITEP Monthly Digest and other tax policy news directly to your inbox.